Is your home or business experiencing flood damages? If yes, then you need to contact the leading experts for flood damage restoration in Houston at ServiceMaster Advantage. Our team of restoration experts will repair and restore your property from all forms of flood damage in Houston and the surrounding areas. Flood damage can wreak havoc on any commercial or residential property. A flood can occur due to a burst or leaking pipe, rainwater infiltrating into your structure, overflowing appliances and fixtures, and from a near infinite number of other causes. Regardless of the source, flood damage must be dealt with immediately, otherwise severe structural and content damages can take hold. When you need flood damage mitigation in Houston, call the experts at ServiceMaster Advantage today. Our lines are open 24/7, 365 days a year. When you call, we’ll assemble a team of our restoration experts and have them onsite to begin the restoration process immediately. Upon arrival, our restoration technicians will assess the situation, extract standing water, sanitize the area of any contaminants, dry the affected structures, and provide all the necessary repairs needed to restore your property back to its rightful state. For flood damage restoration and mitigation services in Houston, trust the local experts at ServiceMaster Advantage. With our expertise, your home or office will be fully restored and back to normal in no time. 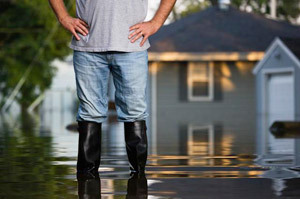 Call us today for all of your flood damage needs in Houston. Our phone lines are open when you need help the most, 24 hours a day, 7 days a week.